Over the last week I made a bunch of cards for SendASmile4Kids. This particular one was not my usual card, it was a lot of fun for me & I will be making some more of these in the future! The sentiment & glasses die cut are from My Favorite Things. There are a lot of fun & geeky sentiments from the stamp set & can be used for a number of occasions along with the die cut glasses. 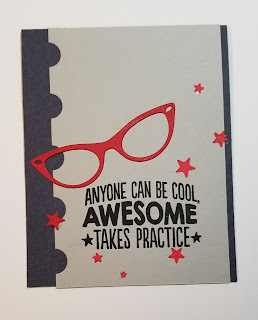 The card base is Navy, and I used red card stock from my stash to cut out the glasses & stars. The stars were actually cut from a Simon Says Holiday Shapes set. I used a Spellbinders border die to cut the left side of the white center panel. The card was cased from one I saw on Pinterest. Thanks so much for stopping by to take a peek!! Very cool and graphic. Love the red. Awesome graphic card! Adore that cool sentiment. Thank you for sharing your card with ATSM! 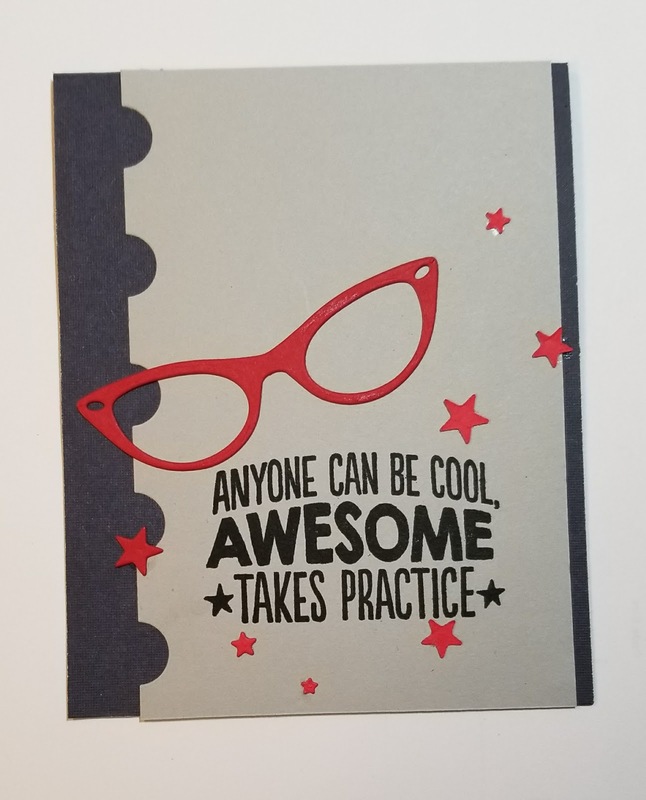 Fabby card...love those glasses! Thank you so much for playing along with us at ATSM! Love the glasses and that cute sentiment! Thanks for playing along with the challenge at SugarPea Designs!